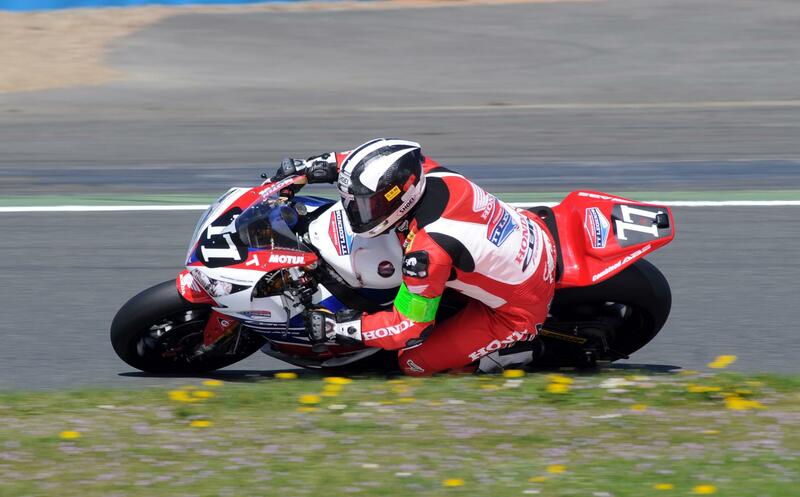 A change in team lineup will see Michael Dunlop racing in tomorrow's Bol d'Or 24hr race at Magny Cours for the Honda TT Legends team. Dunlop was originally the Honda TT Legends team's reserve rider, but during qualifying today set the fastest lap of the team, almost 0.6 seconds faster than second quickest team rider Simon Andrews. His admission to the team comes at the expense of Michael Rutter, who was already riding injured after suffering a broken leg in pre-season testing last month at Miravel in France. Team boss Neil Tuxtworth told MCN: "We’re in a reasonably strong position for the race and the decision has been made to run McGuinness, Andrews and Dunlop in that order. Michael Rutter has obviously got some injuries he’s recovering from and he’s the one most likely to suffer during the race having not done a 24-hour before, so we think this is the best scenario." Dunlop said "I don’t do a lot of short circuit racing so it’s nice to have been the quickest rider today. We obviously aim to get to a stage where everybody is happy, we can’t just make me happy or someone else happy, so it’s a compromise but it seems to be working. I’m obviously pleased to have been chosen to race and I’m looking forward to it." And Rutter added "It’s been good over the past couple of days, learning the track, doing the night practice and getting used to the new way of working in the endurance championship. The body’s hanging in after the crash injuries but I fully understand the decision for me not to do the race." The race kicks off tomorrow at 3pm, with John McGuinness being the first rider out on the Honda, followed by Andrews and then McGuinness.